Are you prepared for change? So many people don’t like change. Others enjoy it – or at least tolerate it – but never really prepare for it. But here’s the truth: we should always be prepared for change! And here’s another truth: Christmas is all about change! We change our homes by adorning it with decorations. We change our budget – setting aside money for gifts and travel and parties and special foods. We change our radio stations to the “All Christmas All The Time” stations. We change our eating habits as we tend to overindulge ourselves with Christmas treats. We change all kinds of things in our lives for Christmas. So, really it’s kinda strange that any of us are averse to change! Clearly we like the changes of the Christmas season so much that many people express their desire to extend the Christmas feeling all year long. Yes, Christmas is about change. And perhaps Christmas could teach us to embrace change more. Think about this: we make lots of preparations for Christmas AND we enjoy the changes within the Christmas season. Perhaps, just perhaps, preparation is a key to enjoying change. God certainly seems to think so. Just look at the Christmas story itself, particularly the way it begins. Usually during the first week of Advent we begin the Christmas story by reading about Jesus cousin, John the Baptist. Now, John wasn’t a baptist in the way we think of Baptists today. In fact, he was far more radical than the baptists we know today! But, in all seriousness, John did baptize people and became known for doing so. John came, according to the story, to prepare the way for Jesus, the Christ child. He came to prepare hearts and lives. He came to plant the seeds of forgiveness and grace. He came to make plans for renewal and restoration. He came to prepare the world for change. And that change is called Immanuel – God with us. Advent is a time of preparation. It begins with a story about preparing for change. And it ends in a climactic moment of change – the coming of God into the world as a human to be with us. John’s preparation leads to Immanuel, God with us. Wherever you are right now in your life, are you ready for the climatic moment of Christmas? Are you ready for Immanuel to change you? Or will you go through the motions like every year and miss out on the awesomeness of God coming to be with you? 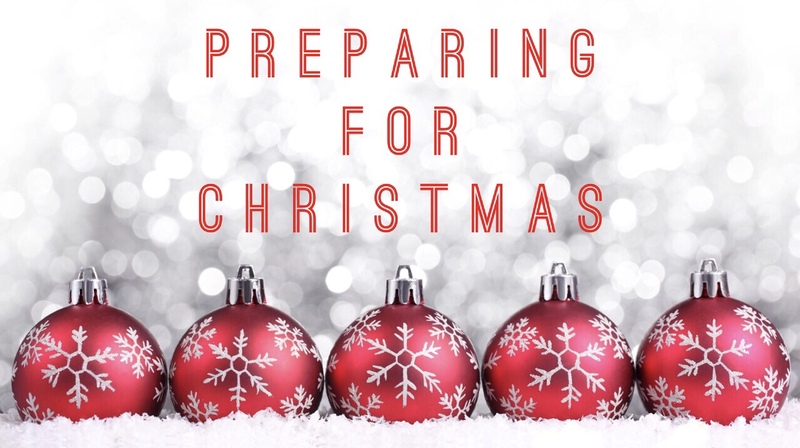 The Christmas story begins with a message about preparing the way because preparation is key to embracing the change that God can make in your life. The question is: How will you prepare your self, your life, your mind, body and spirit for the birth of Christ into your life this Christmas? Maybe, just maybe, you will find out this Christmas that with the right preparation change is the greatest gift of all…..and it is something that you can take with you all year long!